The Racing Gnome 10K snowshoe race will be held this year in Johnsville, California. The race is a California State Championship and a regional qualifier for the National Championship race in Bend Oregon. Race day is February 16, 2013. 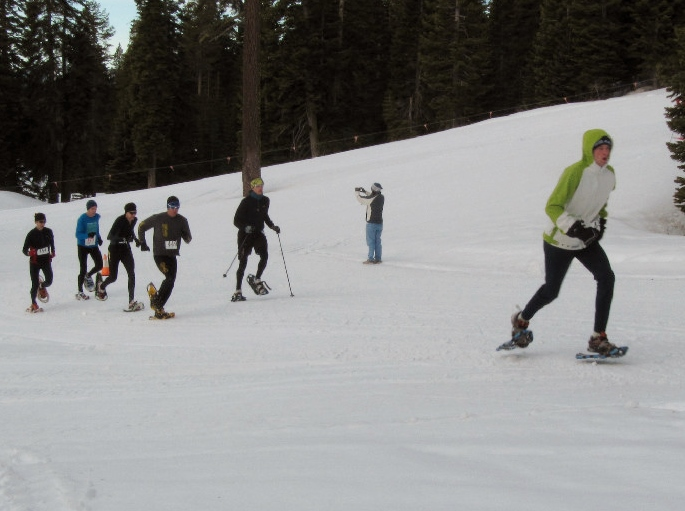 The Racing Gnome event is open to anyone who wants to give snowshoe racing a try. Any runner can run in snowshoes designed for running. If you think a 10K is too far, they also have a 5k race. Both races are on the same 5k loop that goes around Eureka Lake. The Racing Gnome race was originally scheduled to take place at Royal Gorge, but the event has been moved to the current location in Johnsville. The Racing Gnome will be part of the activities planned for Eastern Plumas County Winter Snow Fest, February 14-17. The Snow Fest will include sleigh rides, cross country ski touring, and snowmobile events. Buy or rent your snowshoes before you go. Johnsville is 51 miles north of Truckee up highway 89. The Racing Gnome starts and ends in Eureka State Park, elevation 5,500 feet.